Another Twinsie Friday is here, for today we decided to use a holo polish, I love holos so I went a "little" overboard and pulled out as many as I could for this mani! I placed my first order for a-England, I was excited about this one Saint George: Gorgeous!!!! I love St. George - so pretty! 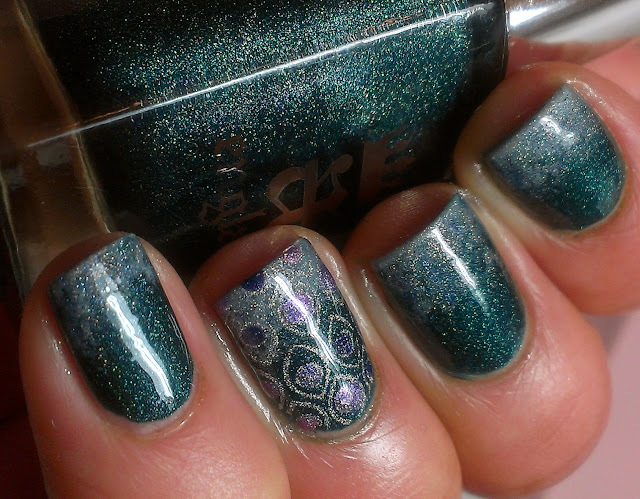 That accent nail is absolutely gorgeous!! I keep staring at St. George but somehow haven't yet decided to buy it! I'm pretty sure that St. George is my desert island polish. It's just the most perfect color, formula, sheen.... effing love it! This is gorg!! I love it!! I love it! 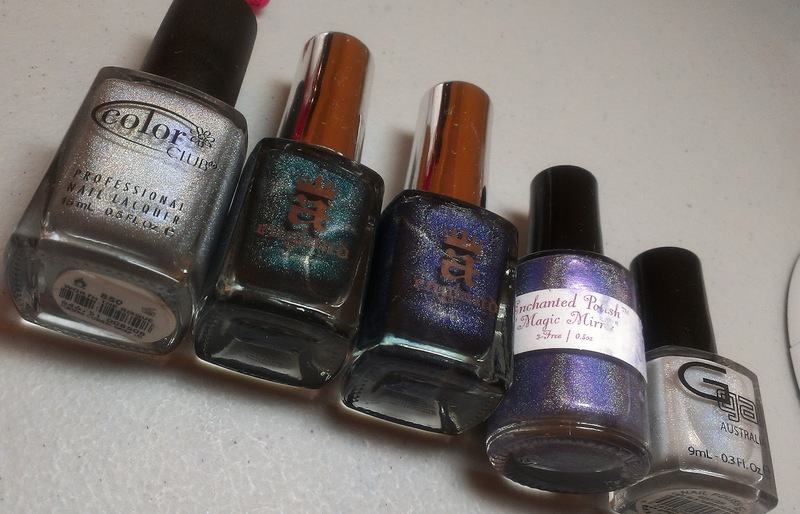 You know I love anything holo! So dark and delicate at the same time! Love them! I agree, Saint George is absolutely stunning!! You always have the best polishes from a variety of different brands! You make want to branch out more... love this!